Shira Ronen is a certified executive coach and leadership development trainer. Shira is invested in helping successful executives become even more effective, more fulfilled with their career choices and more appreciated for the value they bring. After working as a management consultant at McKinsey for several years, Shira realized that no matter the business issue or industry – tech, financial services, media, advertising, pharmaceuticals, etc. – the solution to many business challenges often lay in the interactions between people and their interpersonal communication. Again and again, even when you feel you are over communicating. Speak about the unspoken. This is the key to every relationship, business or otherwise. Cede control to gain control. When you ask questions and truly listen to the answers before responding, you create connection and leverage in your conversation. Business and life are all about the choices you make. Be thoughtful about your choices and own them. A former workaholic, Shira has learned the art of blending her professional interests with her personal aspirations. During work hours, she is happily dedicated to clients, but evenings and weekends are spent with her husband, their three children and their adopted Labrador puppy. Shira and her family have recently relocated from New York City to Silicon Valley. She continues to work with executives on both coasts and anywhere in between, and continuously grows as a result of their cross-country transition (read about what she has learned from this opportunity here). Shira is a Certified Professional Coach through iCoach New York and the Zicklin School of Business at Baruch College. She is certified in the Myers-Briggs Type Indicator (MBTI) and the Hogan Assessment System and uses other tools such as 360° interviews and customized assessments. Shira holds an MBA with distinction from the Stern School of Business at NYU and a BA in Psychology and Management from Tel Aviv University. She served as a Psychological Assessor in Israel’s Intelligence Forces and worked in marketing at Johnson & Johnson. 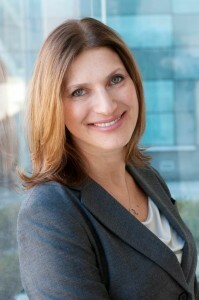 Her work at McKinsey & Company focused on strategy, organization alignment and marketing. Shira serves on the board of American Friends of Tel Aviv University and is an Advisory Board member of Common Sense Media.